Developed by Hypersect. Published via Steam Greenlight. Release date unannounced. Available for PC, with plans for a console release. Preview build provided by developer. 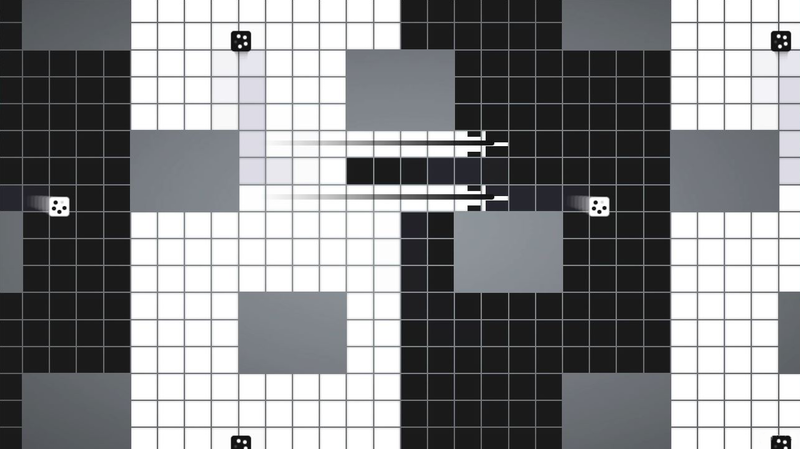 One-man indie dev, Ryan Juckett's studio Hypersect, recently got the Greenlight on Steam for minimalist action game Inversus. 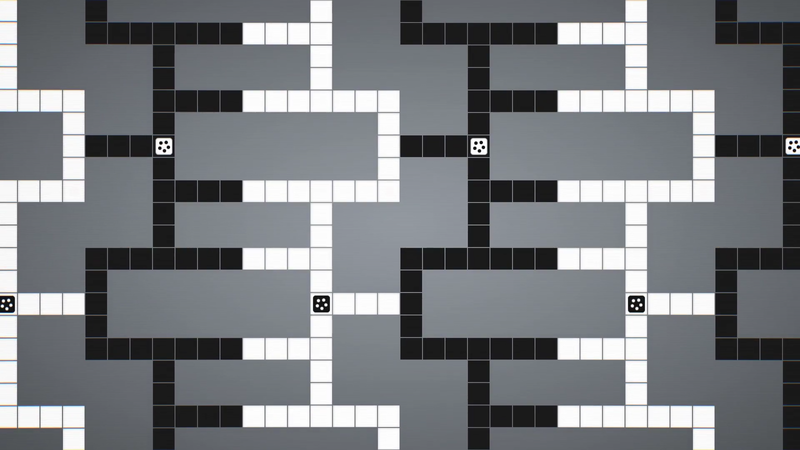 Its simple appearance is deceptive, however, and behaves like a fast-paced strategy game. 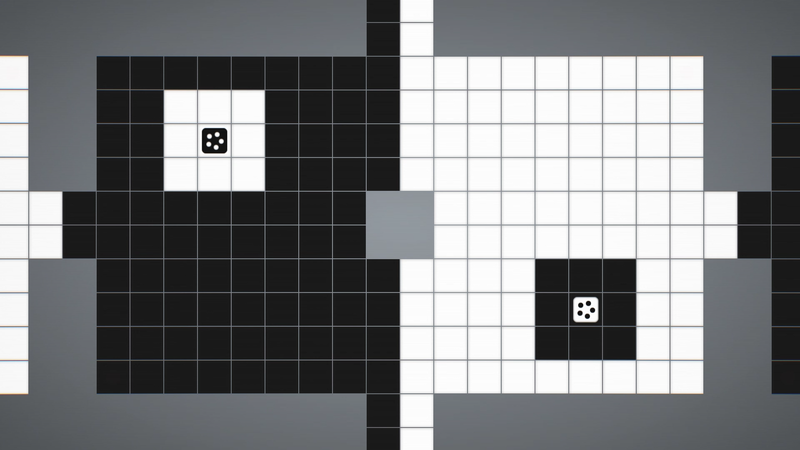 Inversus uses a primarily black and white color scheme, which mirrors the game's reminiscence of an ancient chinese strategy board game, Go. If you're unfamiliar, the goal of Go is to claim portions of the board by completely surrounding the space with tokens of your color, either black or white. 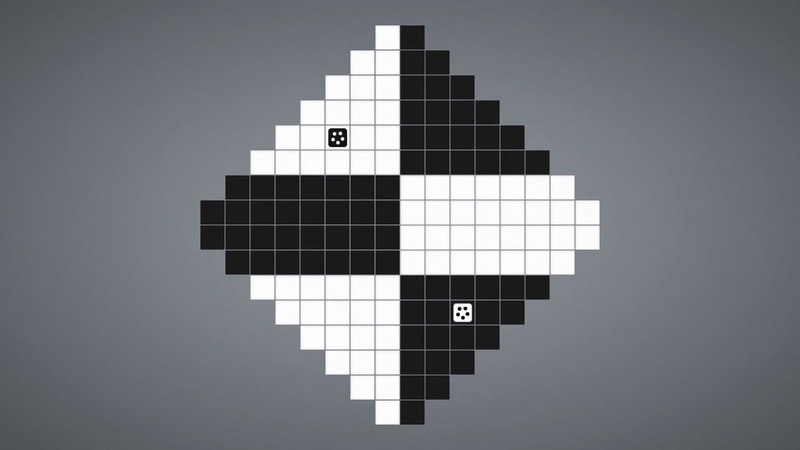 Inversus takes a number of the integral elements of Go and tosses them into an action environment, where the board is constantly changing. 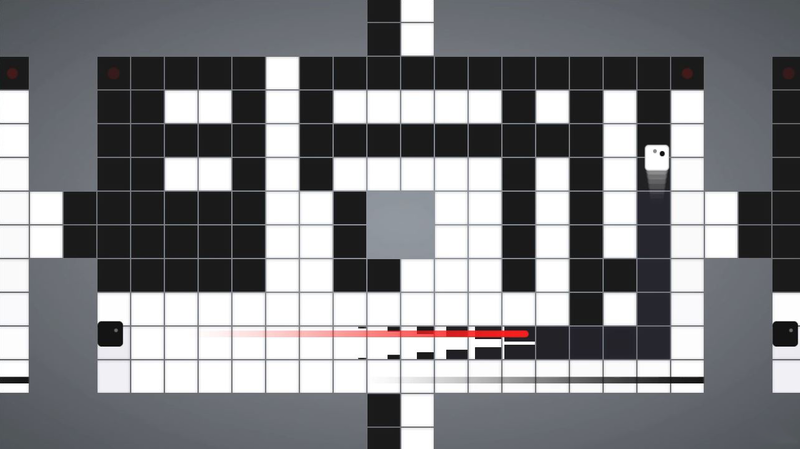 You'll control a small black or white block - you can only move on map squares of the opposing color - shooting your color-changing weapon in a straight line in a cardinal direction. 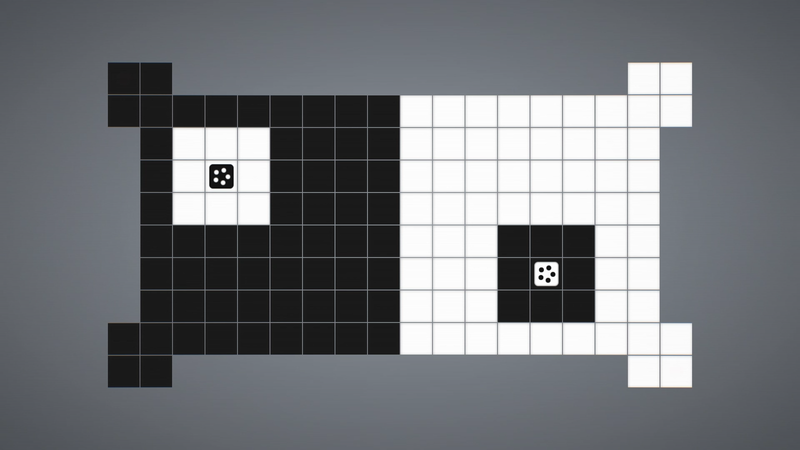 Any tile your projectile passes through turns into the opposing color, allowing you to create new paths for you to traverse the map, as well as block your opponent's move options. You'll both be doing this constantly, so the map is an ever-changing environment, ensuring a dynamic experience each time you play. There are buffs that spawn periodically, with powerful effects like quick shot, which makes your next projectile travel incredibly quickly, making it much harder to dodge. 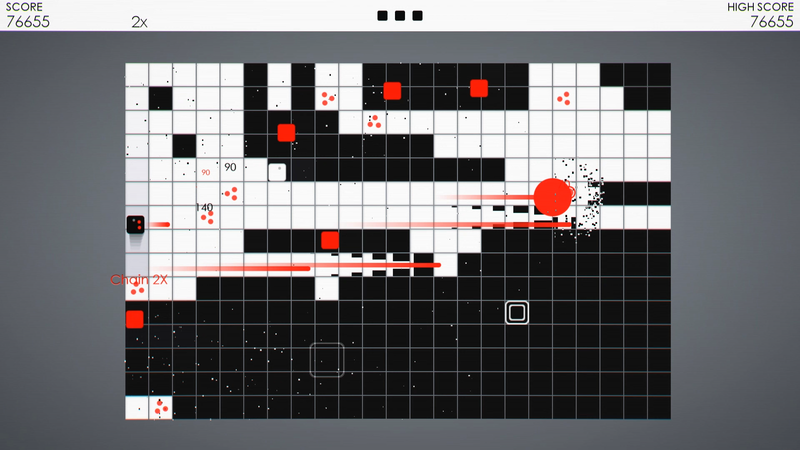 Another pickup allows you to move through any tile, regardless of color, making for a brief but intense chase scene. The variety of maps is impressive for such an early build of the game, and each map variation will require a drastically different strategy. 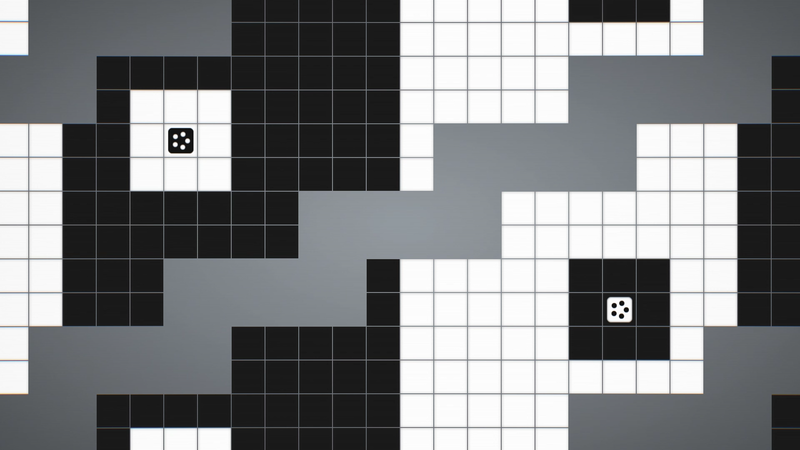 Some maps are comprised primarily of single-tile corridors, while another might have large, impassable sections allowing for more of a cover-based match, dodging in and out of cover while you and your opponent trade shots. 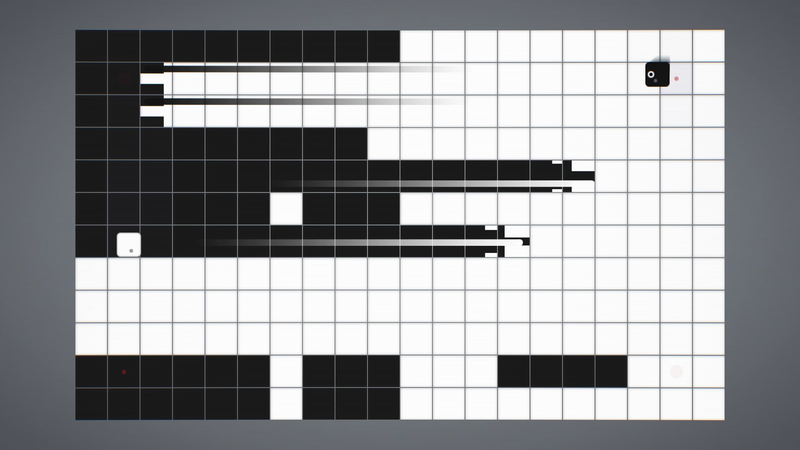 Inversus takes an incredibly simple concept from a 2,500 year-old board game and turns it into a frantic action video game. It might look simple, but with a two-and-a-half millenia old foundation, it is quite a bit deeper than it appears.